The complaint backs up multiple worker accounts of being stopped by Tesla security for posting and passing out flyers concerning unionization, with some workers being interrogated and threatened with termination for such practices. 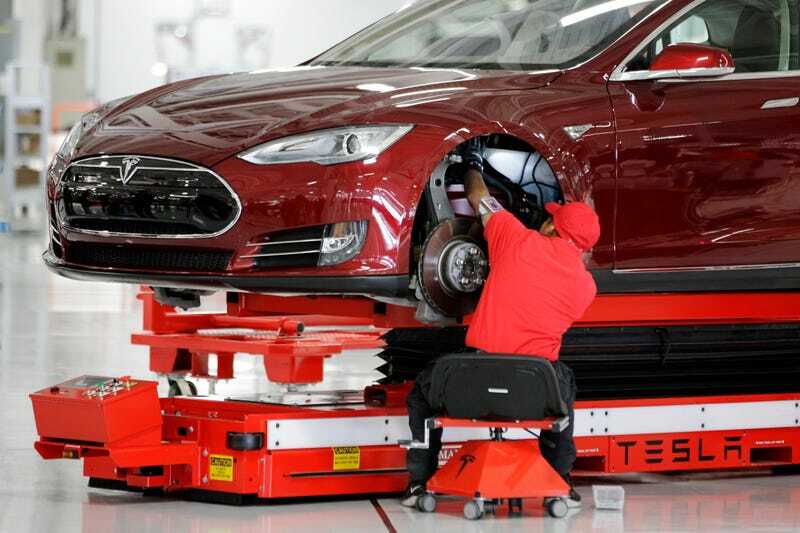 The NLRB claims Tesla has violated the National Labor Relations Act. ﻿Four separate charges were filed last week to the NLRB, including one that lists the UAW as a charging party against Tesla. Each of the filings charges Tesla with instituting illegal “coercive” rules and actions, including surveillance, and changing the company’s employment terms and conditions. The charges come amid a high-profile fight over unionization at the plant, with workers alleging unfair working conditions and Tesla CEO Elon Musk arguing unionization would be antithetical to Tesla’s mission. The NLRB documents, first reported on last week by the online publication Capital & Main, allege Tesla of violating the National Labor Relations Act in February by “intimidating, creating the appearance of surveillance and conducting surveillance” on workers either distributing or receiving pro-union literature. Tesla has been battling worker complaints about pay, safety, and rights violations, as well as combating an unionization effort, with CEO Elon Musk aggressively against the concept, even offering to work the same tasks as injured employees to prove, well, to prove something. A hearing on the NLRB’s complaint against Tesla will be held on November 14th in Oakland, California. Jalopnik has also reached out to the NLRB for comment and will update if or when we receive a statement.